Course Bundles are a highly cost-effective way of getting access to large numbers of courses via a simple, modest subscription. When embarking on wider development plans or in response to legislative changes, some of you may require larger numbers of staff to take and pass specific courses. You may be having a push on Customer Service say, or Cyber Security. In this instance the normal pay-per-click model becomes quite expensive, so a more cost-effective way of getting access to large numbers of courses is to subscribe to Course Bundles, these are sets of courses that are normally ‘pay per click’ but can be converted to become freely available to your whole team via subscription, from as little as £75 per month. Bundles typically contain 3-4 courses and a simple pricing matrix gives the monthly subscription to give unlimited access to the courses in the bundle or bundles. Our brief guide to understanding the new GDPR regulations that will come into force on 25th May 2018. In essence the act is there to increase the protection of any personal data held by businesses, regarding EU citizens. Whilst Britain continues to negotiate its withdraw from the EU it has indicated that it still intends to comply with the incoming regulations. What’s involved? All UK companies that hold “personal identification information”. Who’s involved? All UK and European Union (EU) countries. What’s required? Companies must take “reasonable” action to secure data and report breaches. GDPR affects companies that hold “personal identification information”. Whilst this term has not been explicitly defined, the following is thought to fall within its scope. The GDPR directive requires that all companies that hold such information must provide a “reasonable” level of data protection and privacy to all EU citizens. The term “reasonable” is not fully defined but the penalties certainly are. For any breaches that do occur where “reasonable” action cannot be demonstrated, then fees up to €20 million or 4 percent of global annual turnover, can be applied. One of the biggest and most important changes within the new legislation relates to reporting breaches. These will now need to be reported to the supervisory authorities and the individuals affected within 72 hours of it being detected. To learn more about this topis why not take our latest Understanding GDPR course HERE? 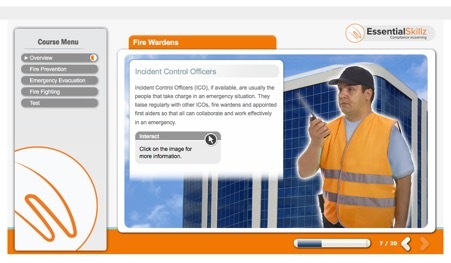 This course has been Approved by RoSPA. 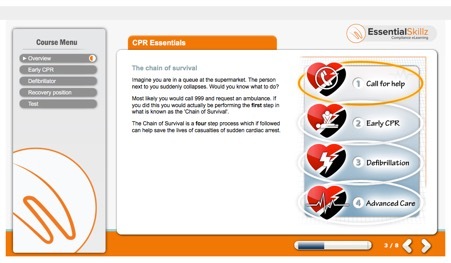 CPR E-Learning is a 40 minute course which provides the core theoretical knowledge needed to perform Cardio-Pulmonary Resuscitation (CPR). It is designed to accompany a practical demonstration of CPR or to be used as a refresher training course. Click the image to go to the course now. 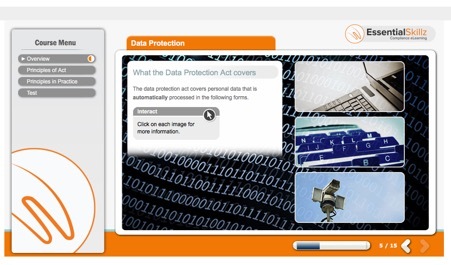 Data Protection is a 25 minute course that provides employees with essential training on how the Data Protection Act 1998 relates to them and the work they do. The course covers the eight principles of the Act that determine how data should be collected, handled and stored and how these principles apply in practice. Cases of Legionnaires’ disease, caused by legionella bacteria, are fortunately rare. However, when they occur, they can be fatal to vulnerable people and expensive to organisations and to individual managers. 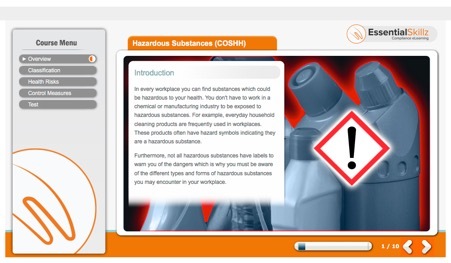 To meet your obligations under the Control of Substances Hazardous to Health (COSHH) Regulations (2002), the Management of Health and Safety at Work Regulations (1999) and the Health and Safety at Work Act (1974) you need to have assessed the risk from your water systems, including hot and cold water, evaporative cooling and other plant such as vehicle washers and irrigation equipment. You need to have a written scheme which describes what competent people are doing to manage the risks. Even if someone is tasked with simply running the taps once a week, they should understand why this could be a vital part of keeping people safe. This course outlines typical water management tasks, and helps employees understand why each task is important. As well as looking at what happens when organisations do not safely manage their water systems, employees will be shown how the jobs they have been asked to do will break the chain of events that can lead to a death from Legionnaires’ disease.